That’s a picture of me as a young gay Christian trying to find the straight path. It was 1992, two years after World Health Organisation removed homosexuality from the International Classification of Diseases. Meanwhile, I just turned 18 and found my way into a Christian ministry that told me my homosexuality needs to be cured. All these years, when I talked about my 12 years as a Christian trying to go straight, I have always framed it as, oh, I didn’t have it as bad as others. My experiences were not as traumatic, dramatic, or physically abusive as what others have gone through. I’m ok, you know. I’m strong, I’m lucky, unlike those who are still going through it. But yesterday, I was invited to speak with a small group of Christian leaders from different continents who are forming guidelines for the Anglican denomination. Yesterday, for the first time, I acknowledged the pain and trauma of my conversion therapy experience. I admitted to them that what I went through was so terrible precisely because I stayed with it for a decade. It prevented me from living my life fully until I was about 30. 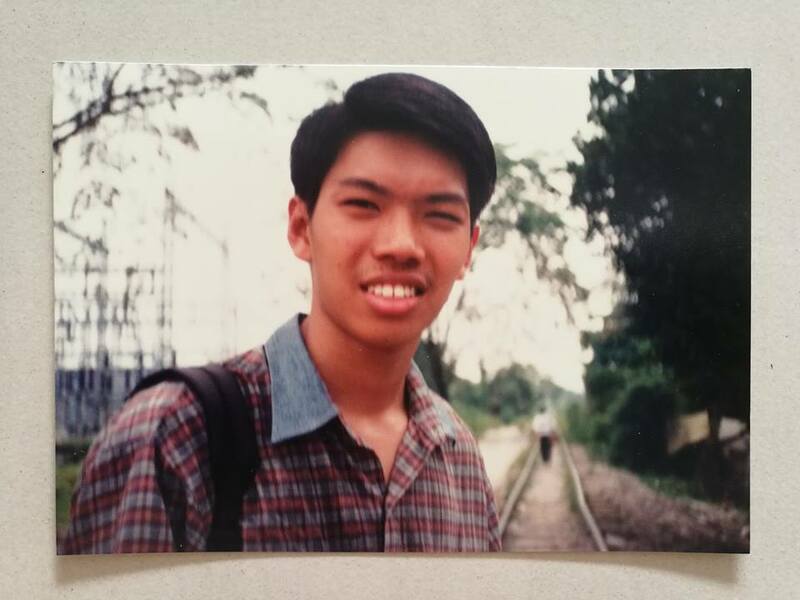 I became Christian at 14, while studying in Singapore. My experiences consisted of a lot of mundane small group meetings, hugging, church camps, confessions to my pastors and youth leaders, endless prayers, often ending up being prayed for, and often ending up in tears, begging God to make me a good person, to make me straight. Every week I would leave with renewed faith and hope, but as the week progressed, my flesh would be weak, and I would give in to my lust, and I would return with shame. I would keep this shame mostly to myself. It made me feel so utterly lonely and isolated. Which made me do things that then filled me with more shame. When I was 18, I read in the papers about a Christian ministry in Singapore that was for helping people like me, to recover from our sexual brokenness, as they put it. I met them and I was so euphoric that finally I had some hope — to be healed, be straight, be normal. I was so happy I told my best friend, I’m going to be OK, in five years time. I got to meet a support group of gay Christians who were like me, who understood me, and wanted the same goals: to be healed of this sexual brokenness. For the first time, I could tell my story to someone and be heard. But at these meetings, I was told I’m gay because I’m incomplete, I’m stunted in my relationship with my father, with God, with other men. I was told, all this lack manifested as lust for men. I was told, what I really wanted was wholeness in God. I was young and already filled with shame, so I believed them, and did as I was told. After that, I was subjected to weekly chipping away of my sense of self, dignity, and wholeness. I was convinced that as I was incomplete, I was therefore lustful, shameful, irresponsible, lacking in self control. Why couldn’t I control these terrible dirty thoughts? I thought I was a monster, a vampire. Beware, don’t touch me. For ten years, every time I would feel love for another man, I stabbed my heart with the cross to kill it. Until I could not feel anymore. Yesterday I realised that yes I did stab my own heart. But the church handed me the stake and guided my hand to it. Every week. For 12 years. What it killed was my sense of self. And my ability to speak for myself. And my ability to fight. And my ability to acknowledge the extent of its damage until last month when I turned 44. Up till today I’m still trying to heal from these deep wounds. It was not my homosexuality that stunted my growth and my relationships, it was the church. It taught me some very unhealthy ways of relating to myself and others. It was perhaps due to the fact that it wasn’t terribly traumatic that I didn’t leave sooner. It was only when I found out my pastor had been advising my close male friends in church not to get too close to me, that I knew it was time. It was when my church elders asked me to write the Easter musicals and I wrote my struggles into the stories of the Biblical characters, and then church excised the epiphanies. Three years in a row. It was after I realised the church didn’t want my story that I eventually left. When I was done sharing, one of these church leaders told me that when I said my happiest moment consisted of being told I was incomplete and needed to be straight, it broke her heart, that the church had reduced me to this. This to her was evidence of the harm the church did to me, that I became someone who would be happy for being told he’s not enough. Then another man in the group thanked me for sharing my story and said that my story was sacred. He said, if we’re all made in God’s image then all our personal stories are sacred texts. I just said wow. I said, I’m going to reflect on that later and cry. I’m tearing up while writing this down. Even though I’m no longer Christian, this meeting meant a lot to me. To finally be heard. To be able to work now in solidarity with them to bring more justice and equality to the world. When the church told my younger self what to believe about myself, it took away my right to narrate. The story of shame I told myself then kept me isolated from others. It was the church who made me incomplete. But when I finally found my voice and could tell my story I realise, it was my story that made me whole. My sacred text fills my heart with love and life again. Thank you to all who listen and who hold all stories as sacred. Thank you to those who are trying to make the church whole again with all the broken pieces of our stories. This was originally posted as a Facebook status on 4 Nov 2018. Pang Khee Teik is the co-founder of Seksualiti Merdeka, the director of Art For Grabs, and the editor of Queer Lapis. He is also one of the curators for George Town Literary Festival 2018, taking place from Thu 22 – Sun 25 Nov in Penang.